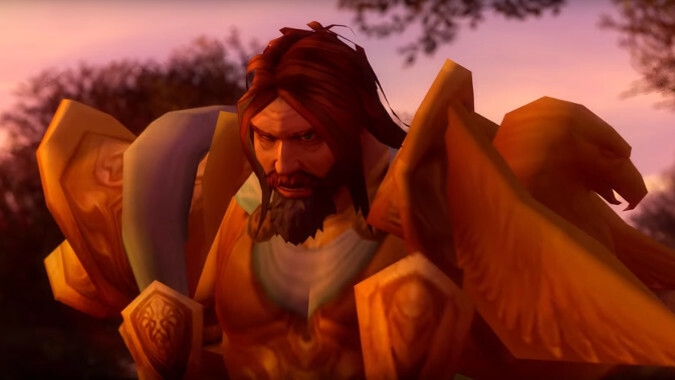 Ever wish you could see the cinematics from Warcraft 3 using modern WoW assets? If, like me, you love the lore of Warcraft 3 but have a hard time getting the old game to run properly and wish you could see the story unfold without it, there are a few options — for example, you could wait for Warcraft 3 Reforged, which will likely remake all of the in-game cinematics with its new art assets. Or you can search YouTube, where people have been posting Warcraft 3 story videos for years. And those are good options, I’ve watched them countless times. But I’m still very excited for what Jose Barrios Villarroel has done with his Warcraft Reign of Chaos Season 1 video. After first stumbling across it on Reddit, I went to YouTube and watched the video in its complete 30 minute entirety, and it’s something special. It’s a labor of love that takes World of Warcraft art assets and animates them to the original VO from Warcraft 3. Villarroel went back and restaged both actual cinematics and in-game moments to present the narrative of one of the most influential and popular RTS games of all time. There’s clearly been some work to make the models resemble the older game’s design — Jaina and Grom in particular clearly hearken back to their design in the original game, for example. I found the Uther and Thrall models a little off putting in comparison, but considering the sheer volume of work on display here those are minor quibbles and I have to say I hope he keeps working on this. He’s got versions for multiple languages on his Youtube page, as well as a series of videos detailing the process of making the video. I’m a little sad there’s no narration but it’s still a pretty amazing behind the scenes view of what’s going on. Whether you’re an old school fan of the game and want to revisit the story or you’ve never played it and are wondering what’s going on, this is a great video to get a taste for what happened in the Warcraft universe four years before World of Warcraft happened.